In December, 2016, Christ Church received a generous donation to initiate a long-term fundraising project to protect and preserve our historic windows. With this donation and a contribution from the diocese, we were able undertake the urgent repairs needed to our Rose Window. However, we still need to have similar repairs to the rest of the beautiful, historic windows at Christ Church. Toward this end, we have set up a Stained Glass Window Fund. Donations in memory/honor of a loved one or family are encouraged and will be placed on a commemorative plaque. Contributors may underwrite the project via cash donation, check or Paypal (see link on this page). Generally, windows like these are repaired and cleaned every 50-100 years. 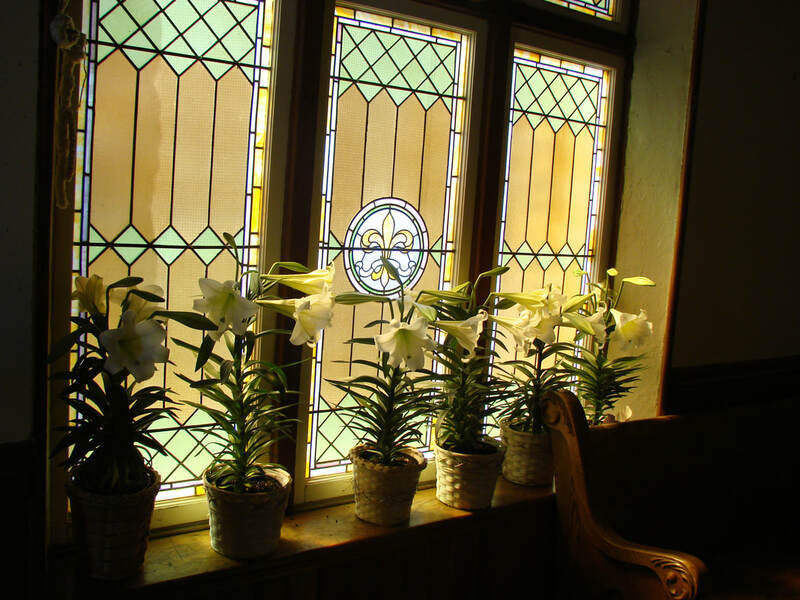 They provide beauty for our worship services and a visual link to our local, religious history. As a heritage from the past, we treasure their presence. The Rose Window, our largest and most unique, was removed in April, 2017, and repaired at the architectural glass firm, Willett-Hauser Co. workshop. The 13 segments were carefully removed, numbered and shipped for the technicians to examine, clean and repair. 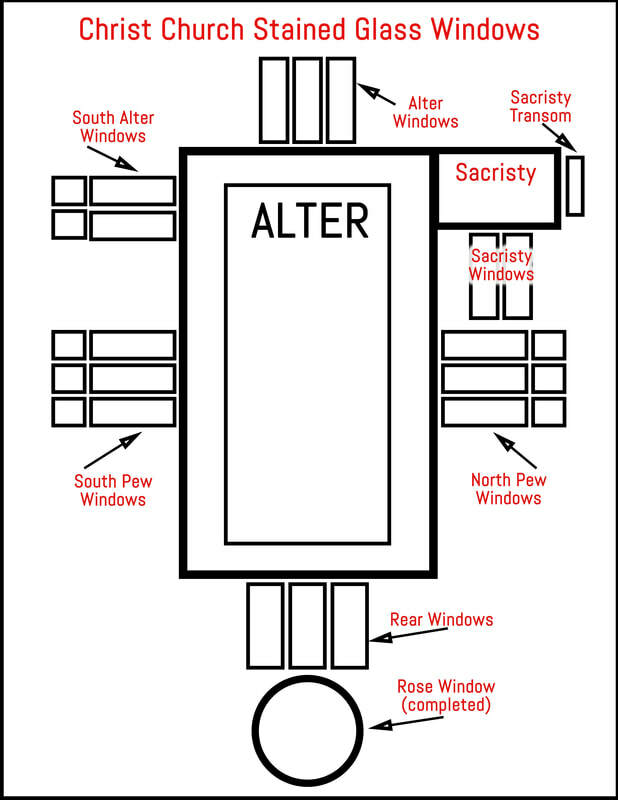 Christ Church has about 31 windows, installed about 1896, of opalescent and textured glass manufactured in New York. The windows, according to the Sheridan newspaper of 1896, evoke the shades of autumn in Western Montana. They have deteriorated, with breaks in the lead, solder joints, cracked windows and loose rebar. Their need for repair ranges from immediate to longer term. We see this repair and protection as a long-term project for the church.